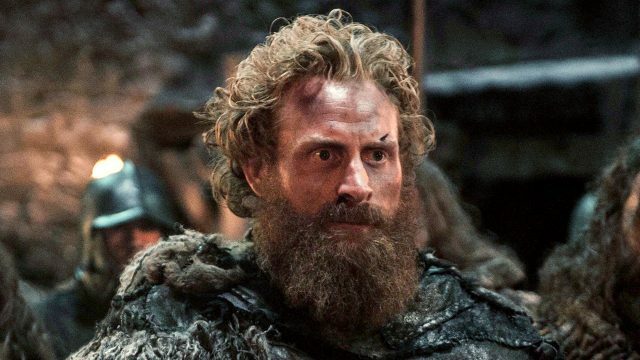 It was reported yesterday that Game of Thrones star Kristofer Hivju had joined the cast of Justice League as an Ancient Atlantean king, but it turns out that those reports were incorrect. While on set, several journalists saw concept art featuring the actor’s likeness, hence why it was assumed he had quietly joined the superhero ensemble at some point. However, Warner Bros. reached out to them to clear things up, and it turns out that he won’t be in Justice League after all. Why? Well, there have been claims that he wanted a larger role with more lines and decided to pass on the project when it became clear that wouldn’t be possible. From what we understand, Hivju was being eyed for the Atlantean king who helps defeat Darkseid at the start of the movie (thousands of years in the past) and then takes one of the three Mother Boxes to Atlantis. It’s obviously a shame that we won’t see the talented actor in such a high profile project, but don’t feel too sorry for him. Not only will Hivju return for the seventh season of Game of Thrones, but he’s currently hard at work on Fast & Furious 8 where he’ll be playing a villain. Justice League, meanwhile, is set to be released next November, so there’s plenty of time for this role to be filled over the next few months as shooting continues across the pond in London.